“Thanks so much for the session you did with me recently. after you did your work with me. Thank you so much. 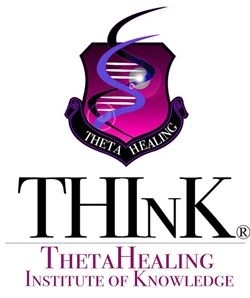 ThetaHealing® with the manifesting of financial and material abundance. A lot of work can be covered in a short amount of time with ThetaHealing®. The amount of sessions needed will vary from person to person on what they want to accomplish. Many times clients will experience a shift within one session, however sometimes the belief systems around the issue are more complex and need deeper belief work done over a few sessions to achieve their desired change. To determine how many sessions you will need ahead of time would really depend on the negative subconscious belief systems attached to your issue and how fast they reprogram into positive and empowering ones.What should I do to prepare for my session? We recommend that you call a few different practitioners. Every practitioner is different. Your intuition will guide you to the right practitioner that will help you to overcome your current challenges. The more ThetaHealing® training the practitioner has, the more experience they have facilitating deep belief work on others and the more healing they have done on themselves which will help make them more prepared for your session. Group conscience, after enough people have been activated. I was told by the Creator that if enough people have the Activation, then the whole of the earth consciousness will move up in its vibration. When this happens people will automatically be Activated from the collective consciousness that we all share. I believe that the Activation will happen automatically in 12 to 24 years in the future. With the Activation and other techniques in this book, we have been given a opportunity from the Creator to use our intuitive abilities in the next phase of our evolution. This evolution is the next level of our human consciousness.The Activation of the Youth and Vitality Chromosomes is described in such detail so that it is witnessed and brought into reality. In the Activation, we are activating strands to the DNA and its existing 46 chromosomes in what will be explained as the Master Cell of the brain. The mitochondrial DNA is also activated. The Activation is a gift from the Creator as an opening to your intuitive gifts. From the moment that the Activation was done upon me, my life began to change. I can remember being on my massage table witnessing the Activation in my head. When it was finished I got up and I knew that I was changed forever. The first thought was that I would get a divorce. (The Activation is not a license for divorce. )After this marriage I found my soul mate, Guy. In the days and weeks that followed I would have strange metaphysical experiences. When I was doing massage and Readings my hands would disappear. I witnessed containers in my refrigerator refill themselves. I have seen rubbing alcohol refill itself from the second I put it down until the next second when I picked it up. Most of the people that had their DNA Activation had similar experiences. Located in the middle of the brain is a small gland called the Pineal Gland. This gland has been called “House of the Soul”, and it has been referred to as such for thousand of years. Initially, modern science believed that the Pineal Gland was a completely nonfunctional gland in the body or that its functions were not understood. It was thought that the pituitary controlled everything in the body. Modern science has changed its mind since discovering that the Pineal Gland releases many substances that direct the pituitary in its function. It was only after the 1960’s that scientists discovered that the pineal gland is responsible for the production of melatonin, which is regulated in a circadian rhythm (the body’s time clock). Melatonin is a derivative of the amino acid tryptophan, which also has other functions in the Central Nervous System. The production of melatonin by the pineal gland is stimulated by darkness and inhibited by light. You don’t have to be a scientist to do this technique, but you should know that the Pineal Gland is located exactly in the center of the brain; directly down from the crown and directly back of the third eye. Inside the Pineal Gland is where you will witness the Master Cell. Within the Pineal Gland is what is called the Master Cell, and it is this cell that is the operation center for all the other cells in the body. The Master Cell is the beginning point of healing for many of the functions that the body performs. Within this Master Cell is the chromosome of DNA that is the heart of the DNA Activation. Inside the Master Cell is a tiny universe all its own that is a master-key to our function. It runs everything in the body, from the color of our hair to the way we wiggle our feet. All parts of the body are controlled by the Program in the chromosomes and the DNA. Inside the Master Cell is the Youth and Vitality Chromosomes. You have forty-six Chromosomes (23 pairs of two strands each) in your body and each of those chromosomes have two strands each of DNA. The first two that you are going to be working on within the Master Cell are called the Youth and Vitality Chromosomes. These chromosomes are always in pairs, so if you activate one you obviously have to work on the other. I believe that the Youth and Vitality Chromosomes are called the Chronos and maintains track of the seconds, minutes and hours of the day for the body. The Youth and Vitality Chromosomes contain memory materials that are called Shadow Strands. When you are inside the Master Cell you will witness as the Creator begins to build parts of the ladder to bring into physical form what is called the Shadow Strands. Shadow Strands are the invisible memory of the Youth and Vitality Chromosome, waiting to be formed and awakened to bring us back to the Creator of All That Is. In the evolution of mankind the accumulation of negative memories and feelings changed part of the chromosomes and DNA. This lowered our resistance to different diseases. Only a memory remained from these changes in the form of the Shadow Strands. You will witness as the Shadow Strands form new parts to the chromosomal ladder. The new parts of the ladder are held together and formed from amino acids (sugars) that become the new strands from the memory of the old. You will watch them as they continue to build one by one until they climb up eight rungs of the ladder. Each side is counted as one step, so there is a total of sixteen steps. After you watch this climbing and building process you will see strands of rainbow light come into the chromosome and be capped off at the top with a beautiful pearl iridescent white cap that looks like a shoestring top. This is called the telomere; the telomere is responsible for our staying young. As we get older, the telomere on the cap of the chromosome becomes thinner and worn. The telomere is composed of repeating sequences, various proteins and acts to protect the terminal ends of chromosomes. This prevents chromosomal fraying and keeps the ends of the chromosome from being processed as a double strand DNA break. Telomeres are extended by telomerases, specialized reverse enzymes that are involved in synthesis of telomeres in humans and many other, but not all organisms. If telomeres become too short, they will potentially unfold from their closed structure. It is thought that the cell detects this uncapping as DNA damage and will enter cellular aging, growth arrest or apoptosis depending on the cell’s genetic background. Apoptosis is a form of cell death necessary to make way for new cells and to remove cells whose DNA has been damaged to the point at which cancerous change is liable to occur. Uncapped telomeres also result in chromosomal fusions. Since this damage cannot be repaired in normal somatic cells, the cell may even go into apoptosis. Many aging-related diseases are linked to shortened telomeres. Organs deteriorate as more and more of their cells die off or enter cellular aging. This is why it is so important that you witness the telomere being formed on the end of the chromosomes. This is the process that I was given. 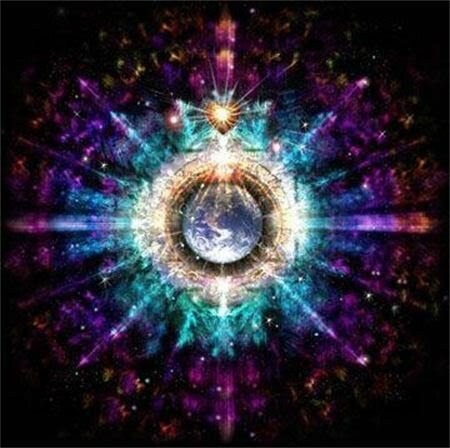 Ground and center yourself in your heart and visualize going down in the Mother Earth, which is a part of All That Is. Visualize bringing up the energy through your feet, opening up all of your chakras as you go. Go up out of your crown, out to the Universe. Go beyond the Universe, past the white lights, past the dark light, past the white light, past the jelly-like substance that is the Laws, into a pearly, iridescent white light, into the Seventh Plane of Existence. Observe the Virtual DNA Strands stack in pairs on top of each other with a telomere cap at the ends. Sometimes this happens so fast, that you may have to ask the Creator for a replay later. As soon as you see that the process is finished, rinse yourself off and put yourself back into your space. Go into the Earth and pull the earth energy up through all your chakras to your crown chakra and make an Energy Break. Part one of the DNA Activation is now complete. After the first procedure has been done the person might experience toxins coming out of their system on all Levels, spiritually, mentally, emotionally and physically. Since you are making cellular changes in body from the Master Cell the body will begin to purge toxins. Some people may experience a healing cleanse, a period of detoxification and purification. Generally there should be a space of time between the two Activations. Other people are ready for both of them simultaneously. With these people you may do the second step immediately after the first if they are ready to receive it. The way that you can tell if they can immediately receive the second part of the Activation is to stay in the person’s space as the first part is finishing. As you are in their pineal gland, the remaining chromosomes will begin to come to life on their own. If you see the chromosomes begin to come to life, then they are ready for it. You will witness the addition of the ten new strands to the remaining forty four. In the second process we are now activating mitochondria as well, which accelerates the process. When you make the command of “It is commanded that the remaining chromosomes be activated,” the mitrochondria of the cell is awakened as well. Mitochondria possess their own genetic material, and the machinery to manufacture their own RNAs and proteins. The 46 chromosomes in the cell nucleus is the blue print, but the mitrochondria holds the energy; the ATP that makes it all function. In cell biology, a mitochondrion (plural mitochondria) is an organelle, variants of which are found in most eukaryotic cells. Mitochondria are sometimes described as “cellular power plants,” because their primary function is to convert organic materials into energy in the form of ATP. Usually a cell has hundreds or thousands of mitochondria, which can occupy up to 25% of the cell’s cytoplasm. Mitochondria have their own DNA and are accepted by endosymbiotic theory to have descended from once free-living bacteria. Center yourself in your heart and visualize going down into the Mother Earth, which is a part of All That Is. Visualize bringing up the energy through your feet, opening each chakra to the crown chakra. In a beautiful ball of light, go out to the Universe. Go beyond the Universe, past the white lights, past the dark light, past the white light, past the jelly-like substance that is the Laws, into a pearly iridescent white light, into the Seventh Plane of Existence. As soon as you envision the process as finished, rinse yourself off and imagine your energy coming back into your space. Go into the Earth and pull the earth energy up through all your chakras to the crown chakra. The one thing I found to be consistent with the Activation is that the likelihood of the spoken word and strong thoughts becoming reality increase dramatically after the Activation is done. Once the Activation begins to take effect, it is important to stay positive and affirm that you have abundance coming into your life. Do not affirm lack in your life, because after the Activation the words and thoughts will be ten times more powerful. Words and thoughts must be focused in the right direction. When you’re working with the energetic DNA, the negative aspects of your life will begin to be replaced with positive aspects. The Activation brings a person to a higher spiritual vibration. Your family and friends may not be on the same vibrational level. The Activation increases our awareness of the negative influences of others. If you have an associate or friend that is not for your highest and best good you will easily and gently gravitate away from them. If you are in a unhappy relationship, you either will remove yourself from the relationship, or make it better. Once the Activation is done within yourself, it should also be done on your spouse, because your dual spiritual vibration needs to accelerate together or you may choose to be apart. It is possible that the Activation will happen by sleeping with your spouse. This is because cell talks to cell, but you must be patient as this will take several months. Most people experience a slight cleansing with cold-like symptoms after the DNA Activation and some people ache all over. I suggest as a remedy that they take a little calcium and perhaps a little chelated zinc. Ask the Creator if the client is ready for activation of their remaining chromosomes. If the answer is “No”, exit and rinse off. If the answer is “Yes”, activate them with the second process. This will activate all DNA, including the mitochondria. What books do you suggest? There are many great books out there. I think any book that catches your attention and is beneficial to you is great. I really like Joseph Murphy, Power of the Subconscious Mind and think this is a great place to start for learning about your subconscious. I am adding many new books to the site that my teachers have written and books that I think are enjoyable and useful to read. Today, Lady Scientist Vianna Stibal has opened a new website devoted to education and publishing her research in the area of ThetaHealing®. ThetaHealingScience.me is a new and exciting website that explains firm scientific foundation on which ThetaHealing® is based. On this website you will witness how combining cutting edge quantum physics theories and state of the art medical research, Vianna Stibal takes it all one step further and formulates ThetaHealing® as a respectable scientific theory. ThetaHealingScience.me website provides information for ThetaHealing® Practitioners and students, journalists, other scientists and general public. Website offers section Topics that present 9 cases from 3 different categories – each one making a strong scientific case for basis of ThetaHealing®. Last but not the least – the current state of ThetaHealing® scientific research is presented. The testimonial below is especially meaningful for me because I sat @ the feet of this great teacher for many years. He is one of the original certified ThetaHealing® teaching instructors that has worked extensively with Vianna Stibal and who was often asked to work on Vianna Stibal and with Vianna Stibal and to be a monitor for the actual teacher/instructor certification classes in Idaho. Get $20 off this week only. Click here then use discount code T20. Below is a letter from a close friend who says the Theta Healing Tree’s Energy and theta healing therapy really helped turn his health around. Theta healing relies on the amazing power of your subconscious to promote healing of the spirit. See “About Theta Healing” below. Also, if you want to get a theta healing tree pendant like the one he says helped him, click here then use discount code T20 and get $20 off the price this week only. I actually have a whole section of my online store dedicated to energy healing jewelry and images. Click here to see it. Below is the letter. While I can’t guarantee any sort of results like he had, I can say that there is plenty of evidence that your positive thoughts and feelings can improve your health. I wanted to thank you for the Theta Healing Tree. About a year ago I had a horrible health screening even though I had been exercising almost every day and eating a really good diet for over 6 months. I was 50 pounds overweight and, my cholesterol was very high, my blood sugar was high, my blood pressure was high and I was on the verge of having some very serious health issues. But diet and exercise were not working. Looking back I see that stress caused by a lot of psychological and spiritual garbage in my mind was keeping me in a state where biologically I could not be healthy. I began meditating on the Theta Healing Tree and having sessions with Jimmy Mackthe theta healer. Once my mind and spirit were right, the diet and exercise worked and worked in a big way. Within two months I lost 25 pounds and today, a year later I am 45 pounds lighter. My cholesterol is down over 100 points and my blood sugar has dropped below the pre diabetic level. My blood pressure is really good as well and my doctor congratulated me on turning my health around. Not only is my body better but I feel so much better about life and my future. I’ve become a firm believer in the value of positive thinking and happiness on health and well-being. The Theta Healing Tree gave me a place where I could focus energy and work out the things I needed to in order to become healthy again. It really saved my health. Thank you. Also, normally I’d just say go ahead and use my name as a reference but right now I’m applying for life insurance and would like to remain anonymous. I think you’ll understand. your own Theta Healing Tree Pendant. I created this painting by focusing on the energy of a story by a powerful Florida theta healer and matrix energetics practitioner named Jimmy Mack. This is not my story or vision. Rather it is a painting where I channeled Jimmy Mack’s energy and vision, a vision I believe in. Several years ago, during a routine hospital visit, Jimmy ended up in the ICU, in a comatose state, near death for several days. But this was not some random occurrence or accident. While unconscious, he was shown, blazing colorful portals, indescribable sights, sounds and holy beings not of this world. He was able to maintain these connections even after he regained consciousness. Like all of my other paintings, I did not create this one by thinking about structures, colors or painting techniques. Rather, I declared my intention, to capture and create an object that emits the energy of Jimmy Mack’s vision. Then I let the paints go where they might. Get $20 off this week only. Click image then use discount code T20. By focusing on the tree – focusing on you being one with it, you connect through your subconscious to a divine energetic matrix where your thoughts manifest reality in both worlds. Through your beliefs, you are in control, whether or not you believe it, but only when you do believe it. By embracing the divine energy of the tree of life, you gain control of your future. I created a pendant to channel those same energies and give you a way to always have them with you. I’ve made two versions of the Theta Healing Tree. Both original paintings have sold. If you would like me to contact the collectors who own these on your behalf, simply email energyartjulia@gmail.com. I also can customize a print on canvas for your particular energy using my paints. It does require I spend some time on the phone with you to get a feel for your energy and intention. Just respond to this email and let me know if you are interested. Theta brain waves are the brain state of your REM sleep (dreams), hypnosis, lucid dreaming, and the barely conscious state just before sleeping and just after waking. The theta state is the border between the conscious and the subconscious world. By learning to remain conscious while also entering the theta state, we can access and influence our powerful subconscious mind. In this state, like in no other we are capable of deep and profound learning, healing, and growth. It is the state where we can connect with divine energy and manifest changes in our material world. The Bodhi Tree Pendant…powerful energy from the tree under which Buddha reached enlightenment. The Creation Tree – Focuses on thought based manifestation and creation of our reality. Click to enlarge and learn more. Singing Angel Tree evokes the state between sleep and consciousness when we feel most at peace. Click to enlarge. Singing Angel Tree Pendant – Click here. The Peace Tree evokes a theta state focused on one purpose, find peace in ourselves and the world will follow. It helps you remain tranquil in stressful situations. The Peace Tree Pendant. Helps you remain calm and stress free. Click here. Through meditation Buddhist monks are able to reach a theta state while at the same time being hyper alert (gamma state). This image can become a focal point for meditation and reaching that state. Carry the light of Buddha with you wherever you go. Click here. Nirvana – A state of bliss. Click to enlarge. A young prodigy artist who was accepted into art school and began taking graduate level art classes at 16, Energy Artist Julia Watkins is best known as the founder of the Energism Art Movement. This art movement, consisting of over 1,000 artists worldwide focuses on expanding human consciousness by creating powerful, metaphysical energy enhanced images that deeply affect all those who view them. Within the energism art movement, Ms. Watkins first created a pioneering”swirly” art style which has been sold in over 30 countries, is in the collections of Carnegie Mellon, Deepak Chopra, Wayne Dyer, Children’s Hospital, and receives over 5 million online impressions per month. Over the past year however, Ms Watkins (known online as” Energy Artist Julia“) with over 80,000 facebook fans) has moved away from her trademark “swirly” painting style to create a brand new mixed media collection, often focusing on the concept of the “Tree Of Life”. Harvest Moon – An emotional versus literal interpretation of energy. Click to enlarge. Ms. Watkins offers both high quality giclee prints of her paintings andoriginal work. Originals are created on metal using fired resins and glass paints. If you are interested in original paintings visit:www.energyartistjulia.bigcartel.com/category/originals or contact us at: 303-229-1792 or email us at caprt99@aol.com. Media: Fired resins and glass paints on metal or canvas. Desert Oasis – Sanctuary of the soul. Desert Vision – The Prophets’ Light. Focusing daily on this image is said to produce visions and insights. Click for details. Early Years. At around 9 years of age a professional artist took Julia under her wing and by 15 had trained her to an advanced level. She was so advanced that in art school her professors didn’t know what to do with her so they put her in graduate level painting classes. Painting. When she paints she focuses on charging her creations with as much metaphysical energy as possible while at the same time rendering something that will deeply resonate with the specific person who will own the piece. Often she does not know who will receive the painting but says she can feel their presence prior to meeting them. She always feels drained after completing a piece and sometimes collapses. Dreams. Much of her inspiration comes from very vivid dreams and in fact, her first swirly painting, First Dream was the result of a powerful dreamlike vision. You can read more about this in the Edge Magazine Article The Dream That Changed The Art World. Every night, as she sleeps she enters a world full of beautiful vivid colors, energies and people moving in something like a “dance of life” that points her to new possibilities in her art. Videos. Here are links to two videos featuring Ms. Watkins or her work.